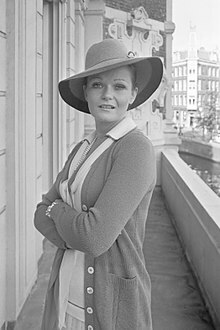 ولری پرین (اینگیلیسجه: Valerie Perrine) آمریکالی مانکن و اوْیونچو ۱۹۷۱–گۆنوموز ایللر آراسیندا سینما ساحه‌سینده چالیشیب. 1973 Love Story Marlene Episode: "When the Girls Came Out to Play"
1985 Faerie Tale Theatre Tina Episode: "The Three Little Pigs"
1987 CBS Summer Playhouse Molly Episode: "Changing Patterns"
1989 Quattro storie di donne Rose Episode: "Rose"
1992 Northern Exposure Jackie Vincoeur Episode: "The Bad Seed"
1993 Ghostwriter April Flowers Episode: "Who's Who: Part 3"
1994 Burke's Law Suzanne Dubonet Episode: "Who Killed the Romance?" 1995 Homicide: Life on the Street Brigitta Svendsen Episode: "Law & Disorder"
1995 ER Cookie Lewis Episodes: "Motherhood", "And Baby Makes Two"
1996 Nash Bridges Mrs. Nassiter Episodes: "Key Witness", "Internal Affairs", "The Brothers McMillan"
1997 Practice, TheThe Practice Jane Elaine Episode: "Hide and Seek"
1998 Walker, Texas Ranger Marge Wyman Episode: "Eyes of a Ranger"
2001 Just Shoot Me! Carol Episode: "Where's Poppa?" 2001 Family Law Helen Watson Episode: "The Gay Divorcee"
2001 Beast, TheThe Beast Mrs. Silberger Episode: "The Delivery"
2002 Grounded for Life Maureen Bustamante Episode: "I Fought the In-Laws"
2005 Third Watch Merlene Episode: "Welcome Home"
2011 Lights Out Mae Episodes: "Rainmaker", "Sucker Punch"
اینگیلیسجه ویکی‌پدیاسی‌نین ایشلدنلری طرفیندن یارانمیش«Valerie Perrine»، مقاله‌سیندن گؤتورولوبدور. ( ۲۱ دسامبر ۲۰۱۷ تاریخینده یوْخلانیلیبدیر). قارداش پروژه‌لرده ولری پرین گؤره داها آرتیق بیلگی‌لر تاپابیلرسینیز. بۇ صفحه‌‌ سوْن دفعه ‏۱۳ مارس ۲۰۱۹، ‏۰۹:۰۹ تاریخینده دَییشدیریلمیشدیر.